Ledco's Industrial Series 25" Workhorse thermal Roll Laminator in 220 volt includes metal floor stand, upper fan assembly plus Roll Extensions for up to 12" diameter feed rolls and now has 2 year warranty. The 25" Ledco HD-25 Workhorse has been the industry standard for all trade laminating shops for decades. 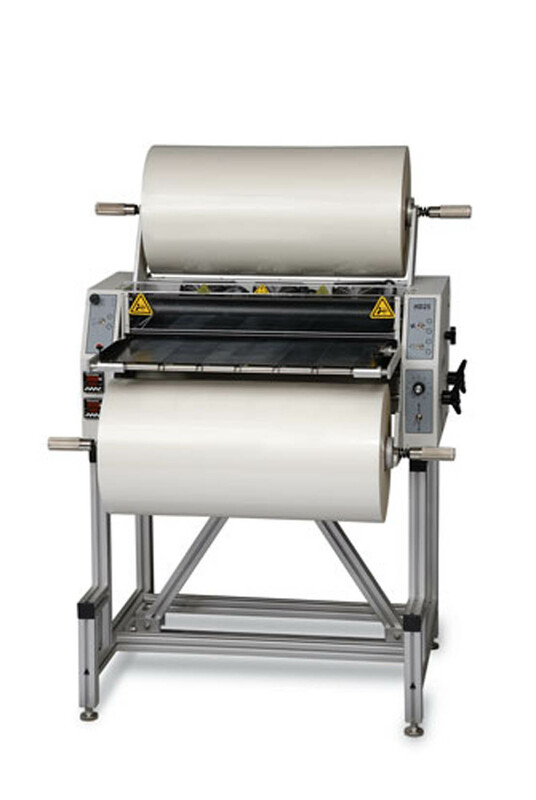 The durability, speed and capacity puts this laminator machine tops in it's class. We have used one in our own shop since the early 1990's and can recommend it highly, even for all day every day use. Variable Speed: Max Mechanical Speed: 0 to 25 fpm.